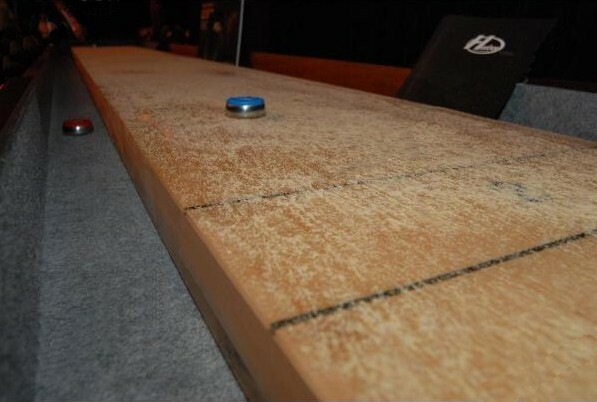 Shuffleboard wax, also known as sand, dust, powder, cheese, salt, sawdust, and more, is a material that’s sprinkled on table shuffleboards to decrease friction between the puck and the table, preserve the tables thickness, and increase the speed of weights as they glide across the table. It is one of the most essential accessories you need to play table shuffleboard. This Grand Hudson Deluxe Shuffleboard Table is waxed to perfection. Find shuffleboard wax like this here. 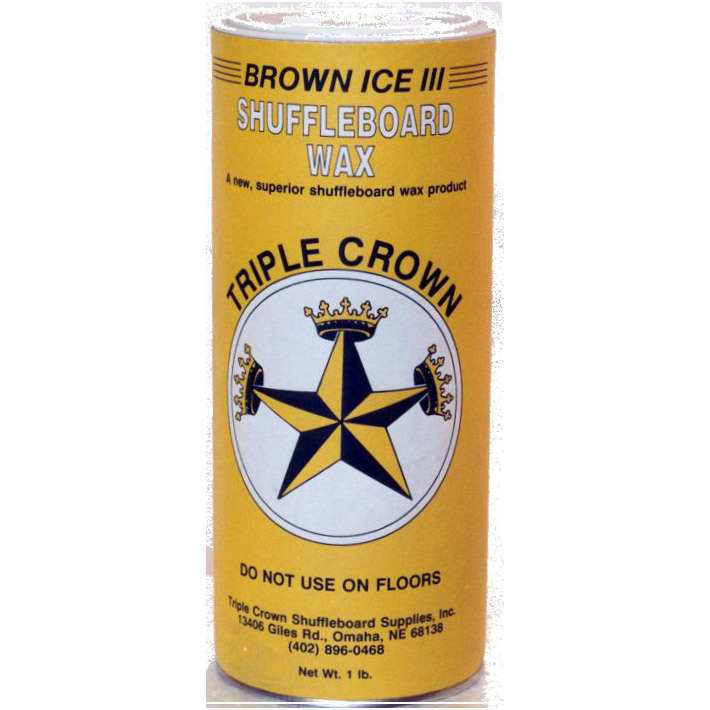 Shuffleboard wax is known by many different names: sand, dust, powder cheese, salt, sawdust, or silicone. Whatever you or others choose to call it, it still refers to the same kind of material that adds so many benefits to your overall shuffleboarding experience. Shuffleboard wax can be made from various materials, but the most widespread form is beads made from silicone which take the form of dry powders. This powder minimizes the friction that affects the weights as they slide down the table. Most shuffleboard wax is composed of a combination of the silicone beads with dry cornmeal, which helps to further slicken the surface, adding extra speed to the plays. Playing without wax will wear down your table faster, reducing the level of thickness (an important attribute for proper gameplay) and compromising your wood finishes, especially if your table has a traditional finish. In terms of spreading the wax along the table, you should sprinkle the playfield rather than douse it. Doing this saves you money, as you will not need to brush off excess wax from the playing surface and into the alleys. Not all shuffleboard wax is the same. There are also different varieties of wax that add varying degrees of speed to plays. Players must calculate the proper amount of wax they place on the shuffleboard table. The difference in the level of friction the shuffleboard wax takes away is usually referred to by a numerical rating system, a color coding system, or even a combination of the two, with the higher numbers equaling greater reductions in friction. For this reason, it may be a good idea to purchase more than one type of wax, so you can be ready to add more at a moment’s notice. This Triple Crown Brown Ice II gives a medium grade speed boost. You should also take a moment to consider the length of your table and what each level of shuffleboard wax will do to the overall game. Shorter tables will be better off with lower grade waxes, while longer tables should be sprinkled with higher grade waxes to promote enough speed for each play to reach the other end. Despite shorter lengths requiring slower grade waxes, all tables should be waxed to gain the other benefit; a greater lifespan. As tables lose their thickness, it will probably be necessary to use more wax, or higher grade wax, to make up for some of the difference. Shuffleboard wax may not add thickness to your table, but it will help you maintain the thickness of your table for longer periods. No time is too early to get proper shuffleboard accessories, so buy some today and ensure your table a long, healthy life, and your plays fast and accurate. Shuffleboard Pro-Tips: What about Thickness?